While healthcare has readily adopted Pay-for-Performance relating to technical skills, perhaps the time has come to embrace Pay-for-Professionalism for physicians. Should we admit that these non-technical skills matter enough for a new approach? If physician productivity is important enough to be incentivized, shouldn’t we do the same for professionalism? A wealth of research has shown a correlation between the professionalism of physicians and business/clinical outcomes, as well as Return on Equity, Return on Assets, nurse turnover, and patient satisfaction. Physician communication skills are directly measured by the CAHPS survey, which creates a direct link between their professionalism and the healthcare organization’s business outcomes. Research has found correlations to malpractice claims, medical errors, patient compliance with treatment, and physician stress. As such, US physician education does not make professionalism training as part of licensure or accreditation for physicians. We know that there is a connection between a physician’s ability to communicate with a patient and that patient’s alignment and compliance with a course of treatment. The world’s best physician who does a poor job of communicating and comes off as condescending is going to have less desirable clinical outcomes than a technically mediocre physician with superior communication skills and a good attitude. It is not enough for a patient to get the correct course of treatment; a patient has to understand the course of treatment in order to stay compliant with it. US medical school training has done a fantastic job of teaching technical skills to physicians, and the time has come to bring the same rigor to their soft skills. Why has healthcare been so slow to catch up to business? You can find the answer to that question in the historical US approach to medical training. Although studies have shown the important role of physician emotional intelligence, medical schools have historically provided meager, if any, instruction on management, leadership, teamwork, professionalism, or any other soft skills. While a business manager with an MBA has received years of intensive instruction on people management and leadership before completing grad school, a veteran physician is quite likely to have never received a single hour of such training. To be fair, it was prudent for healthcare to focus on technical skills first; in hospitals, insufficient soft skills probably don’t result in as many deaths as insufficient technical skills. However, before healthcare can manage and incentivize the non-technical skills, they must first measure these soft skills in a systematic and quantifiable way. One approach that has emerged as an effective tool for physicians is the 360-degree feedback model. Increased physician professionalism would be highly desirable: reduced physician burnout, increased patient satisfaction, better clinical outcomes, and reduced legal risk. Luckily, the pathway to increasing physician professionalism—or any other desirable behavior—is quite clear: measure and incentivize. Hageman, M.G.J.S., Ring, D.C., Gregory, P.J., Rubash, H.E. & Harmon, L. (2014) Do 360-degree Feedback Survey Results Relate to Patient Satisfaction Measures? Clinical Orthopaedics and Related Research, Vol 472 (11), published online October 2014. Milton E. Hammerly, Larry Harmon, and Steven D. Schwaitzberg. (2014). 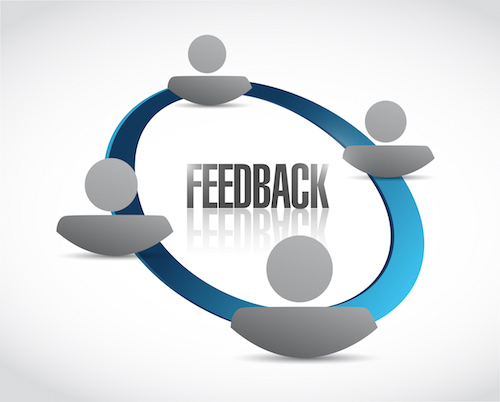 Good to Great: Using 360-Degree Feedback to Improve Physician Emotional Intelligence.